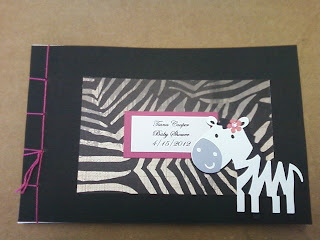 After creating the blue zebra print baby shower book, I had a request for pink. I added a sweet little flower to the zebra to give it a femine touch. The zebra print paper comes from CTMH's collection called "Roxie".